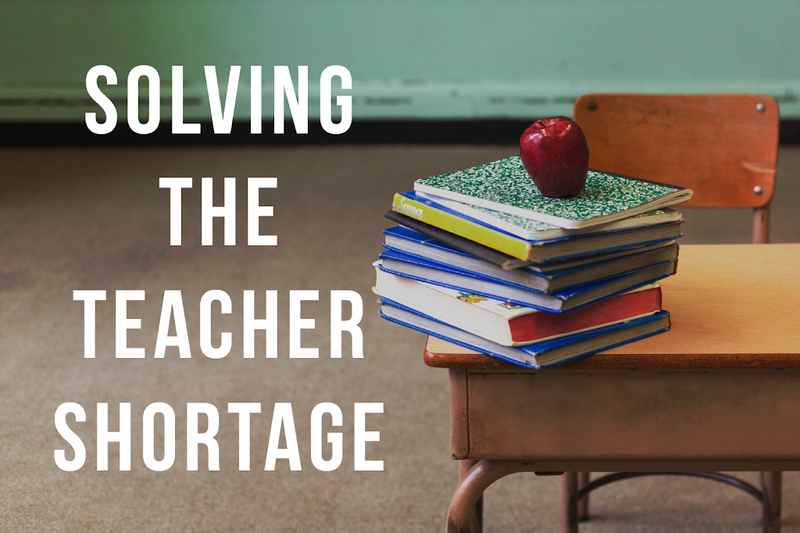 Our children’s education remains a top priority for Illinois House Republicans, which is why they have taken action to address the growing teacher shortage in our state. First and foremost, our members are committed to ensuring highly prepared and effective educators are teaching our children. To do that, Illinois must address the teacher shortage. The Illinois State Board of Education said the 2017-18 school year began with about 2,000 unfilled teaching positions across the state. * And a recent survey conducted by the Illinois Association of Regional Superintendents of Schools found that school districts were increasingly having difficulty finding qualified candidates to apply for teaching positions. 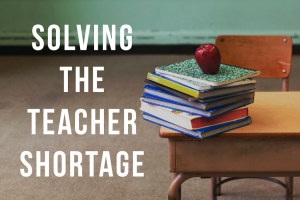 The results of the survey showed concerns about teacher shortages were more prominent in rural districts in the central part of the state, and substitute teacher shortage concerns were most evident in southern part of the state. The most difficult positions to fill include bilingual, Spanish, special education teachers as well as nurses and school psychologists. To address the need for substitute teachers, Rep. Lindsay Parkhurstintroduced legislation establishing a Short-Term Substitute Teaching License. This special provision requires applicants to have an associates degree and allows them to substitute teach in a classroom for a no more than five consecutive days. This provision would allow more qualified individuals to enter the substitute teaching pool. Rep. Bob Pritchard’s measure establishes the Growing Future Educators Program to train qualified high school graduates to become secondary language educators beginning with the 2019-2020 school year. This effort is designed to help meet the need for bilingual and Spanish teachers. Rep. Pritchard also offered legislation to address the shortage of school psychologists by removing the requirements that those who already hold a valid Nationally Certified School Psychologist credential take additional state-mandated tests for licensure. To help future teachers complete their education expeditiously, Rep. John Cavaletto submitted legislation that requires Illinois public universities with an educator preparation program to offer those enrolled in it a three-year degree completion program. This is an effort to feed more teachers into the system as soon as possible. Rep. C.D. Davidsmeyer’s legislation will streamline the hiring process for educators at the Illinois School for the Deaf and Illinois School for the Visually Impaired by eliminating the sunset date of which ISD and ISVI employees are exempt from CMS’ grading process. A bill sponsored by Rep. Keith Wheeler would eliminate duplicative efforts by state agencies that slow down licensing approval of teachers in the Juvenile Justice System. The provision would eliminate the need for the Department of Central Management Services to verify the State educator license of a teacher employed by the Department of Juvenile Justice if the State Board of Education verifies the license. The bill also ensures that the salary of teachers employed by the Department of Juvenile Justice is comparable to the salary of a teacher employed by a school district in the same geographical area in which the institution or facility is located. In an effort to speak to the shortage of everyday classroom teachers, as well as the scarcity of substitute teachers, Rep. Tom Bennett introduced legislationthat encompasses many of the elements of the previous sponsors and tackles the problem from a number of angles. Among other things it would provide full reciprocity for out-of-state applicants for a Professional Educator License (PEL), thus allowing out-of-state licensed educators to teach in Illinois. Additionally, school districts would be able to hire an individual who already has a PEL or an Educator License with Stipulations to serve as a substitute teacher without that person having to go through the separate application process for a Substitute Teaching License. Lastly, the legislation would adjust the Pension Code to allow retired educators to substitute for more days each year without infringing upon their pension benefits.